The colourful celebration of this Nepalese Buddhist festival provides a great insight into the religion, culture and hospitality of Sherpa. 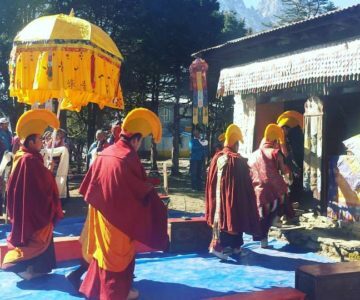 The Mani Rimdu Festival is the focal point of this annual celebration in Tengboche (3,867 m) – one of the highest monasteries in the world – situated beneath the impressive backdrop of Mt. Everest and beautiful Ama Dablam and located in the Solu Khumbu district of Nepal. The 19 days of that lasts the festival focuses on events of empowerment and sacred ceremonies. People of Sherpa and Tibetan communities gather to celebrate the last three days of the festival which are open to the public. Highlights of the celebration include blessing and distribution of red pills to everyone who is in attendance at the event. 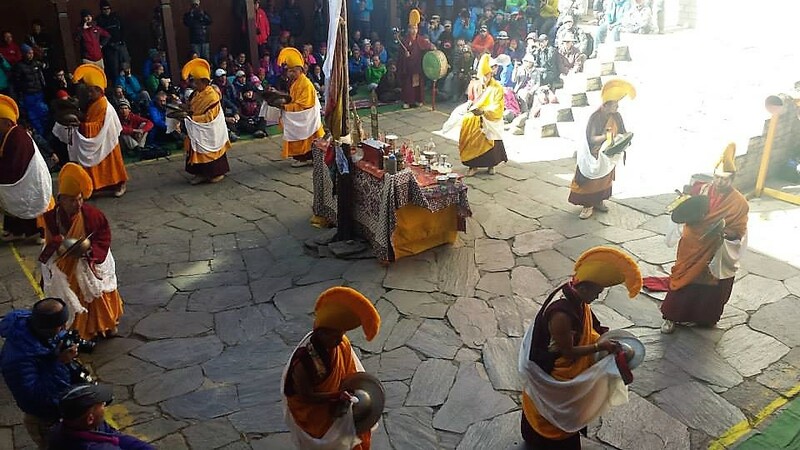 Monks of the monastery perform a masked dance depicting the victory of Buddhism over Bon religion; the creation of mandala using coloured sands collected from nearby hills. They mark the end of the festival by lighting the holy fire, to drive away negative energies from the world and the dismantling of the mandala. The trip begins in Kathmandu. We will fly on to Lukla and will go through the bustling market village of Namche Bazar, the Sherpa capital of the Khumbu. 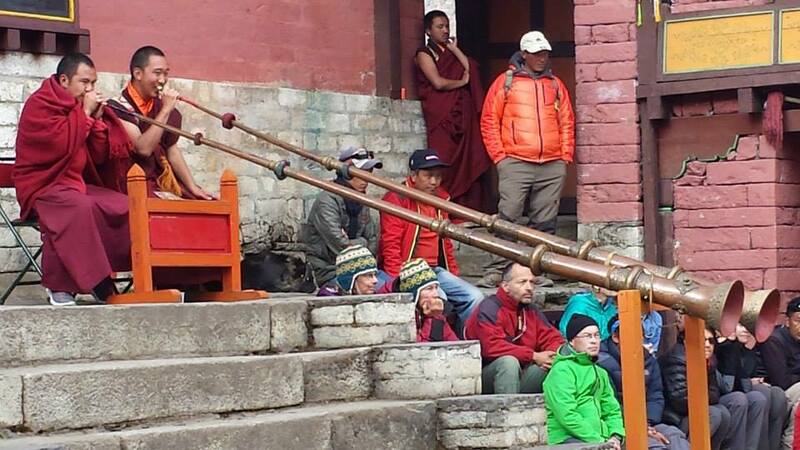 The rich Sherpa culture and their friendly nature are an added extra bonus on this awe-inspiring trip. 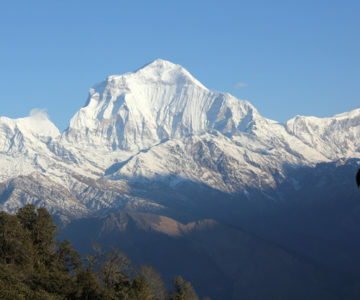 We will then go through Tengboche that provides also a splendid view of the mountain landscapes of Mt. 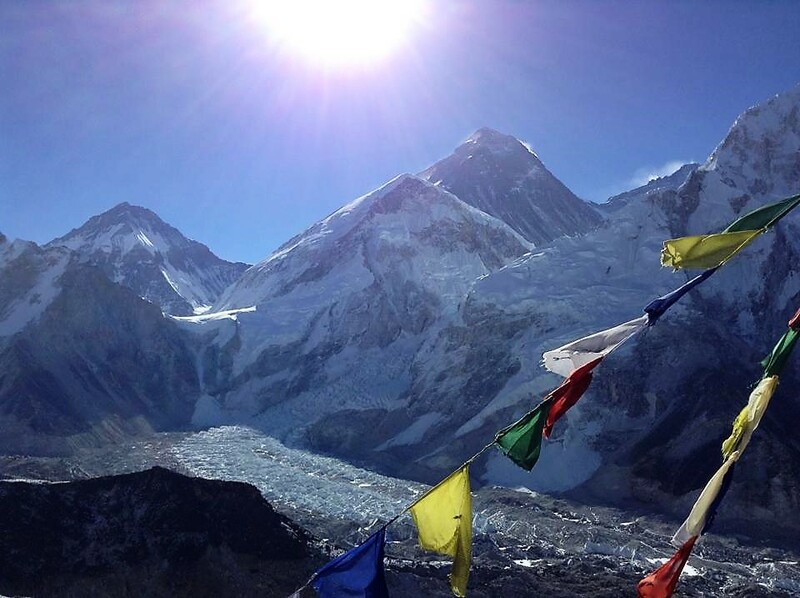 Everest (8,848 m), Ama Dablam, Thamserku, Nuptse and Kusum Kanguru among others. 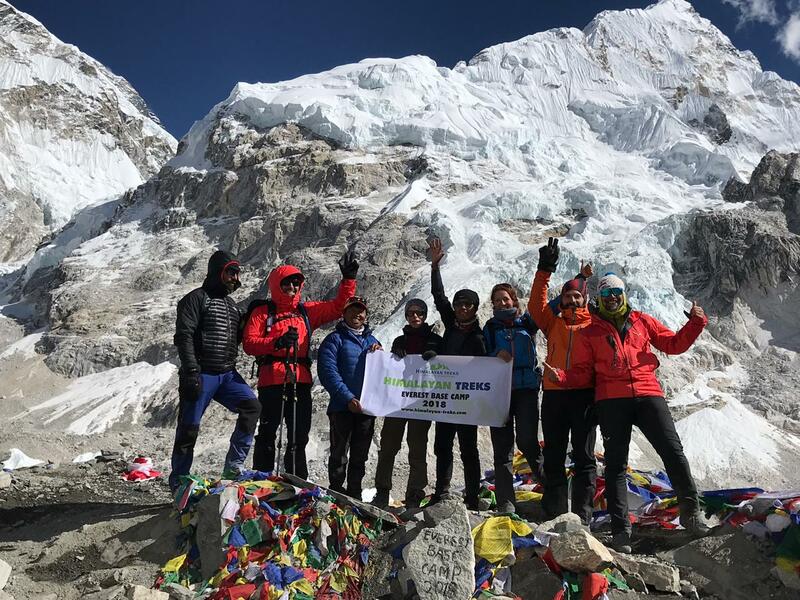 The most challenging part of this trip will be the hike across the Khumbu Glacier to reach our final goal to Everest Base Camp, and the hike up to Kala Patthar – the highest point (5,644 m) – for its breath-taking view. This popular trek isn’t just culturally awe-inspiring; it also boasts of its beautiful trails. Experience being on top of the world and indulge in one of the most stunning views you’ll ever come across. 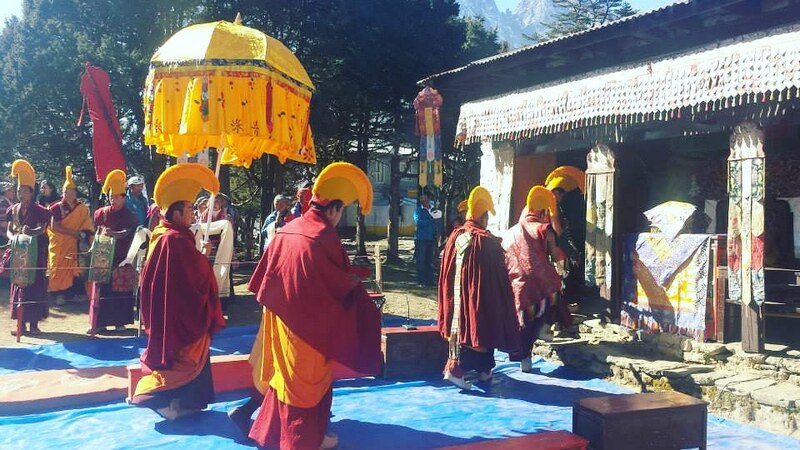 Join the Everest Base Camp Trek and attend the Mani Rimdu Festival starting this autumn on 25th October 2018, just in time to join the tail end of the celebration. There are no limits to the beauty that you will witness on this trek. 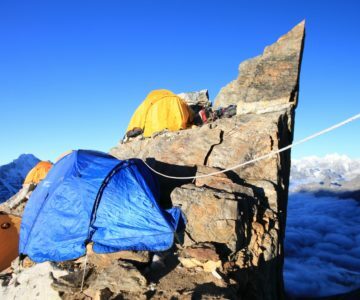 Our team’s goal is to make sure that you experience the best sights and sounds Nepal has to offer. 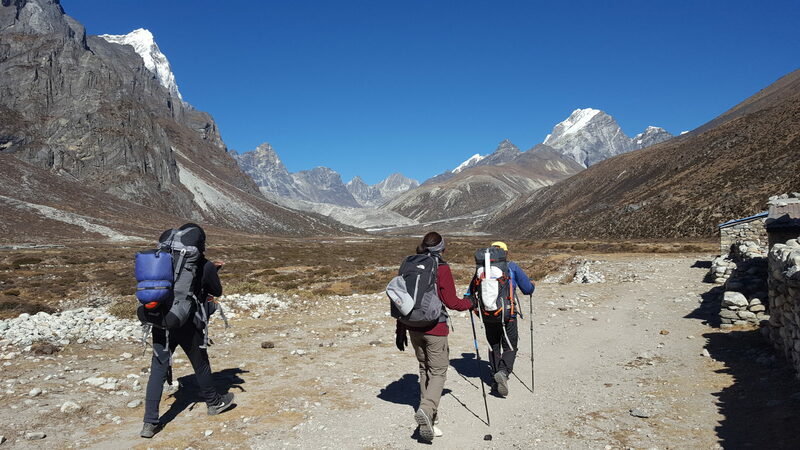 We at Himalayan Treks allow full customisation for our customers, which is why we also have add-ons and trip extensions which can be perused by interested trekkers. Some popular trip extensions availed by our clients include a day or more exploring the historic sites of Kathmandu, Bhaktapur or why not pay a visit to the UNESCO World Heritage Chitwan National Park. 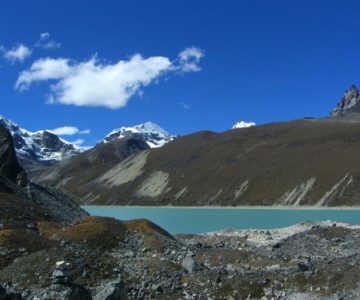 Likewise, it’s also possible to extend your trek to link it with other treks in the same Everest area, for instance the Gokyo Valley trek. However, if you are looking for a different experience altogether, we can recommend the Annapurna Circuit trek or the Manaslu Circuit trek. On arrival at Kathmandu airport, a member of the Himalayan Treks team will be waiting for you and take you to your hotel. The Everest Base Camp trek starts with a scenic flight to Lukla that includes awe-inspiring views of the Himalaya range. We begin our trek hiking up the Dudh Koshi valley towards Phakding. After Phakding we will be following and crossing the river several times over high suspension bridges. After Monjo we will enter the Sagarmatha National Park. 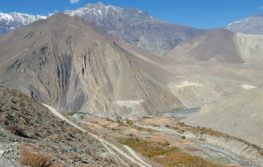 We will see a number of stupas, mani walls and prayer wheels along the way. Once we have entered the Sagarmatha National Park, the trail becomes a bit steep all the way to Namche Bazar. 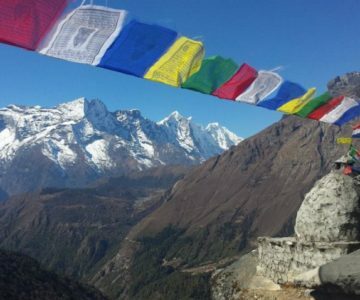 Namche is the capital of the Khumbu region, an important trading point of the past. This is the last place to find anything that you may have forgotten, to find a bank and pharmacies or just to treat yourself to a cup of Illy coffee or brownies. We may even catch our first glimpse of Mt Everest from here if on a clear day. Today we will stay in Namche for acclimatisation purposes. 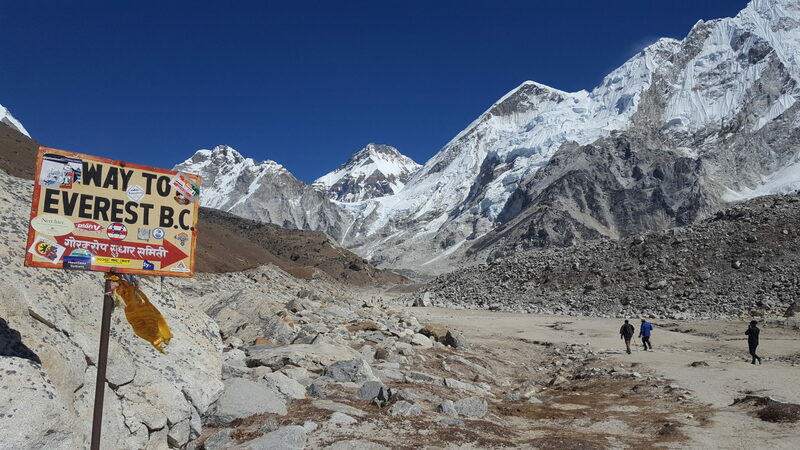 We will trek up to the Everest View Hotel (at 3,880m) in the morning to help acclimatise and also to enjoy the fabulous mountains views of Ama Dablam and the first (or second) glimpse of Mt Everest. We will come back to Namche for lunch. Namche is the last place to find anything that you may have forgotten, to find a bank and pharmacies or just to treat yourself to a cup of Illy coffee or brownies. We may even catch our first glimpse of Mt Everest from here if on a clear day. A member of the Himalayan Treks team will take you to Kathmandu Airport and wave farewell. 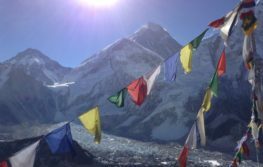 How difficult is the trek to Everest Base Camp? Himalayan Treks Ltd. 2016 - 2019 © all rights reserved.